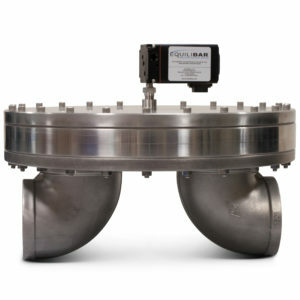 Equilibar’s precision high flow vacuum regulating valves offer unique performance advantages for pipe sizes up to 4″ in size. Equilibar’s patented technology offers lightning-fast response that is mechanically native, with zero hysteresis or deadband. Equilibar precision vacuum regulators work differently with a flexible diaphragm as the only moving part. This diaphragm directly seals against the internal valve orifices, eliminating the “stiction” commonly found in traditional vacuum control valves with dynamic O-ring or wiper type seals. The Equilibar design is frictionless and can control vacuum with very high resolution. Learn more about how they work. Our precision high flow vacuum valves are available in sizes ranging from 1 1/2″ to 4″ with material options of stainless steel 316/316L, anodized aluminum or PVC depending on the application requirements for temperature and chemical resistance. Each EVR is delivered with a manual pilot setpoint regulator for convenient knob adjustment. 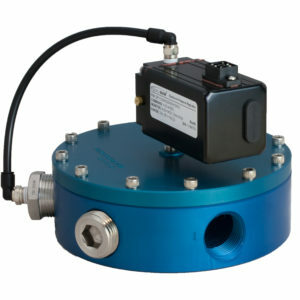 For smaller sizes, see our Precision Vacuum Regulators for Lower Flow Rates. 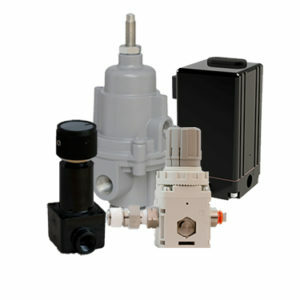 For computer automated vacuum regulators, see our Electronic Vacuum Regulators page. Details about the Precision High Flow EVR series are tabulated below. Contact an applications engineer for more assistance. *Height is measured from top surface of regulator to the center of pipe elbow. Does not include 3″ manual set point regulator. This video shows how the Equilibar vacuum regulator maintains high accuracy and resolution even as the supply vacuum pressure changes and system flow varies from high flow rates to low flow rates. To learn more about the high speed vacuum control, follow this link.